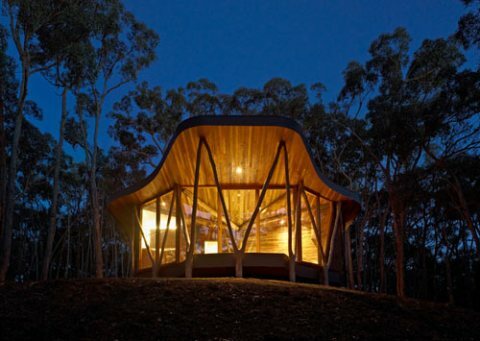 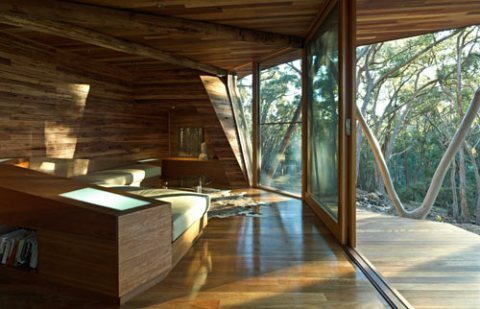 Australia-based Paul Morgan Architects has developed Trunk House located in Victoria’s Central Highlands. 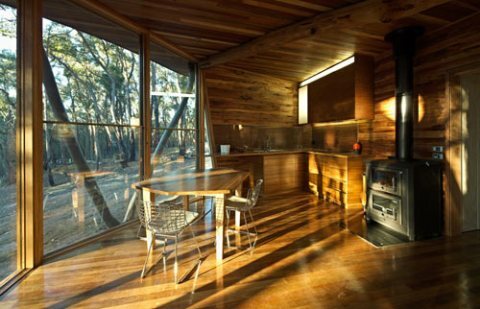 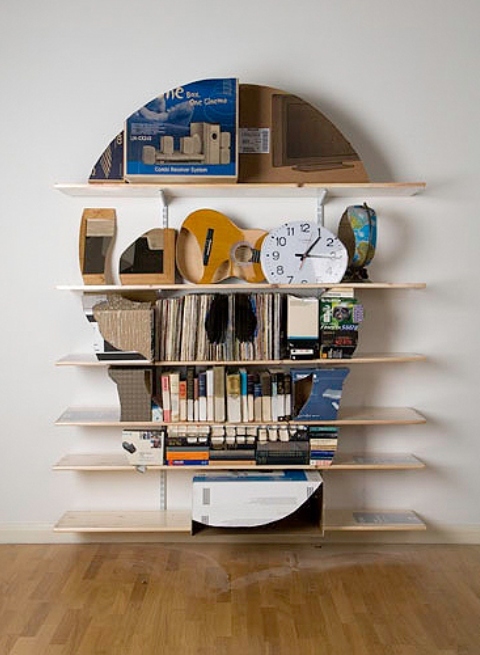 The building includes a living area, small kitchen, bathroom and two bedrooms that would connect the clients with the isolation one finds in a forest, and the closeness to the bird-life. 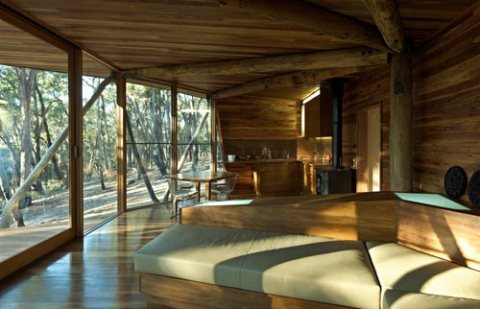 The design sought to achieve an almost transparent relationship with the surrounding forest, achieved through an Eco-morphological transformation of remnant wood into structure. 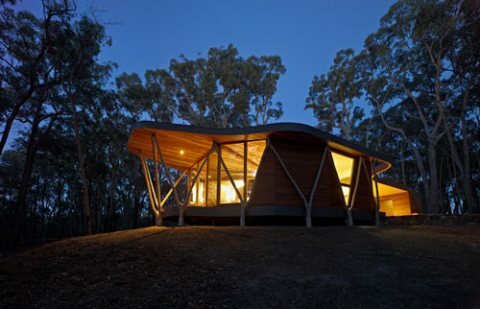 It developed the typology of the small Australian house, conflating it with the models of the primitive shelter and the custom of Aboriginal structures.